The Hollywood Reporter broke the news that Carrey and Roth are joining forces for the project. After a successful pitch, Amblin Entertainment acquired the package, which also includes The Woman in Black 2: Angel of Death screenwriter, Jon Croker, and Michael Aguilar (The Crazies) and Mandeville Films’ David Hoberman (The Muppets) and Todd Lieberman (Beauty and the Beast) producing. Carrey, who recently worked with Aguilar on True Crimes, will also executive-produce Aleister Arcane. Paramount first picked up the comic book adaptation in 2004, but the rights lapsed. Published in 2004, Aleister Arcane is about an L.A. weatherman, Aleister Green, who, after returning to his hometown in Oklahoma, creates Aleister Arcane, a mad scientist that hosts a late-night horror show. Aleister Green loves playing late night TV horror host Aleister Arcane in his hometown of Jackson, OK…at least, until Jackson’s establishment forces him off the air and into unhappy retirement, and an early grave. But Aleister has left a little gift behind — will Jackson ever be the same? Green gets forced off the air after an incident involving two kids. Following his death, the town is cursed, and only the kids of Jackson, Oklahoma can save their hometown–a story that sounds right up Amblin Entertainment’s alley. Aleister Arcane is another more high-profile gig Roth has recently become involved with. The director has been circling different material lately, including Death Wish and the giant shark movie Meg, which he ended up departing from due to budgetary issues. This news also signifies another surprising move on Jim Carrey’s part. The actor, who we last saw in Dumb and Dumber To, has been making some unpredictable choices lately. 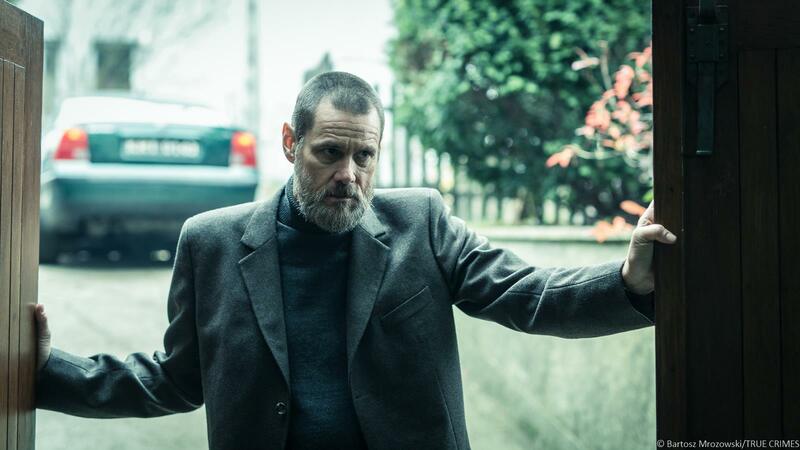 Carrey stars in Alexandros Avranas‘s True Crimes–which he made a minimal but striking transformation for–and will also soon be seen in one of my most-anticipated films of the year, The Bad Batch, which is Ana Lily Amirpour‘s follow-up to A Girl Walks Home Alone at Night.